zCover Inc, the leading manufacturer of fashionable silicone carrying cases for high-end portable devices, and Toshiba America Consumer Products L.L.C., announce the "Plus+" (plus plus) Silicone Carrying Cases for the Toshiba gigabeat Digital Audio Players. zCover "Plus+" colors your gigabeat just as gigabeat colors your music. It allows you to personalize your entertainment gear in your own style. Hand crafted silicone patterns with the coolest designs, glow-in-dark colors and all-around protection make your gigabeat stand out. "Our zCover fashionable silicone cases are all about self-expression. Give your gigabeats a makeover with zCover," said Sean Sa, vice president of ZCOVER INC. "gigabeat users want their gigabeat to be as unique and colourful as their music collection. With 11 colors and patterns to choose from, you can change your gigabeat case to match your mood!" Combining zCover's advanced moulding technology, integrated 0.6mm ultra-thin panel protector, customized crystal-clear screen protector, and flipper fire wire port lid, zCover "Plus+" case protects over 98% of the gigabeat's surface, maintains the beauty and functionality of your gigabeat, and shows off your personality, while protecting your gigabeat from scratching, dirt and dust. The customized crystal-clear hard screen protector with rubber ring pad provides the clearest screen view, best fit, and prevents scratching. 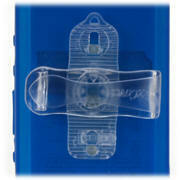 The zCover standard removable rotary belt clip provides a secure grip and reliable accessibility. 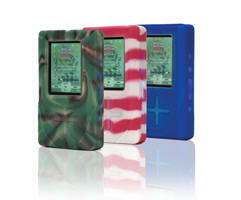 Each model provides three color patterns: Original, Candy and Camouflage. Original series - translucent pure color silicone cases, designed to add a splash of extra color and excitement while providing durable protection. zCover plus+ Original come in one of seven fun and bright colors, ice-Clear, Grey, Black, Blue, Pink, Purple, and Glow-in-Dark White. Candy series is hand crafted, dual color, Glow-in-Dark design. It will insure that your gigabeat stands out in a crowd. With its unique design and colourful look, you will be the envy of everyone. The first release includes candy pink and candy blue. 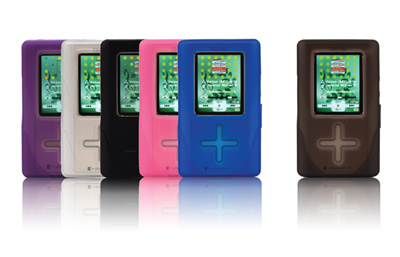 Each zCover plus+ for Toshiba gigabeat retail package comes with a rotary belt clip and a hard crystal clear screen. 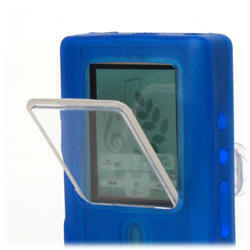 Estimated date of availability for purchase is October 1, 2005, Go to www.zCover.com for more details. gigabeat is a registered trademark of Toshiba Corporation.